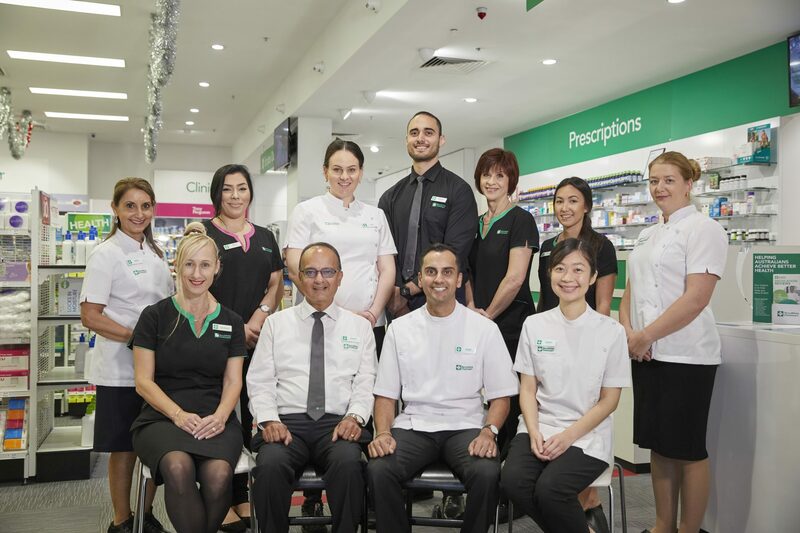 A passion for improving processes and procedures in his pharmacy has led to the introduction of what co-proprietor Zamil Solanki believes is a unique workflow system at his TerryWhite Chemmart pharmacy located in Mount Gravatt, Queensland. Mr Solanki, who at 32 says he has been in pharmacy for around 30 years having been taken to work as a toddler by his pharmacist mother, and now business partner, prides himself on the workflow he has developed which gives the patient access to broad knowledge and expertise from a range of pharmacists, while also boosting his competitive edge in a crowded market. 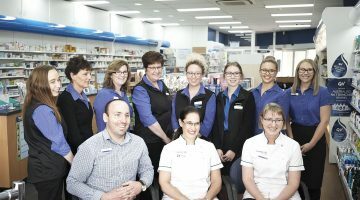 “We are in a very competitive area as one of 13 pharmacies within a radius of three kilometres which includes two big-box discounters and some smaller discounters as well,” he said. “But a big point of differentiation with us is that our customers have ready access to pharmacists. “We employ six pharmacists who are integral to the unique workflow. Mr Solanki said he spent 18 months researching and studying operating systems before arriving at his current model. That research included accessing Australian Bureau of Statistics data to look at the area’s demographic and even the average height of people in the area. “I used this to calculate the height of our workbench so that patients could be heard and still feel included, but still maintained valued privacy,” he said. “Our workspace is one continuous bench and that allows us to collaborate as a team when dealing with a single patient. It allows the patient to interact not only with just one pharmacist, but with multiple pharmacists at the one time to get the collective knowledge and expertise of our pharmacists. “I don’t know of any other pharmacy that allows that sort of high-level interaction as opposed to other systems that support a one-on-one interaction. Mr Solanki said in developing the workflow he also looked at models where people saw value in professional services in comparison to a quick impersonal interaction with little meaning, and were prepared to wait a small amount of time for it. “I looked at banks, airports and hotels which are very service-driven but where people had a level of acceptance of queuing for the service for a nominated time. They recognised that they are waiting to interact with a professional, rather than simply process a transaction. I wanted to bring that vibe into our pharmacy. The pharmacy also incorporates dispensing robots to help free up pharmacists’ time. “With our workflow the pharmacists are always on the floor which embraces a “true” forward dispensing model. “A lot of people use robots and claim to have forward dispensing but through my research I saw first-hand that many of the pharmacists in these pharmacies still retreat to the back of shop a lot and the assistants transact, not interact with the patients. 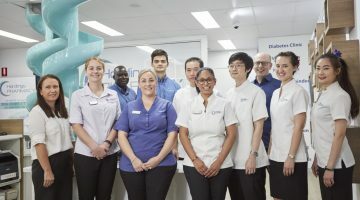 Mr Solanki said while the pharmacy offered a wide range of professional services, he also recognised that his pharmacy is located just 20 minutes south of the Brisbane CBD which is populated with very reputable allied health partners. “The ability to network with local allied health practices is an integral part of ensuring our patients are provided with holistic care. We recognise that enhancing the services that they provide, rather than competing with them benefits all stakeholders in the health journey. For example, providing an in-pharmacy hearing screening test opens up the opportunity to refer to local audiologists for further examination, diagnosis and treatment. 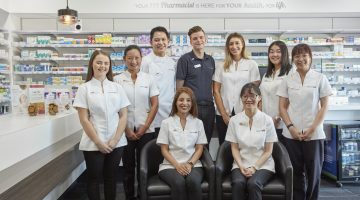 “We’re focussed on delivering professional services that are primarily pharmacist delivered and that improve our scope of practice whilst reducing the burden on the local GP. “Building on this, we employ a full-time naturopath to offer scientifically based natural therapies and key lifestyle and dietary advice to our patients. He works closely with all of the pharmacists to complement their knowledge in practitioner vitamins and natural supplements. Looking ahead, Mr Solanki says he believes the future also requires exceptional management. “Exceptional management doesn’t just mean being innovative. It is also about being forward-thinking, recognising opportunities, seeking strong networks and alliances within the community and involving the team to execute your vision. “This is why I am involved in so many pilot programs of health services, systems and processes. “The future of pharmacy is constantly changing how we work so that we are better equipped to deliver complete health solutions and patient services. Mr Solanki said he and his staff prided themselves on being a “true community pharmacy. We have been in the community in Mt Gravatt for more than 20 years. “We are very focussed on the community. A few examples are that we run regular health seminars at local aged care residences, attend nearby weekend markets to chat with locals outside of our four walls, support local organisations and schools with raffles, provision of first-aid consumables, sponsorships and school dose administration aids to help teachers manage children’s medications.